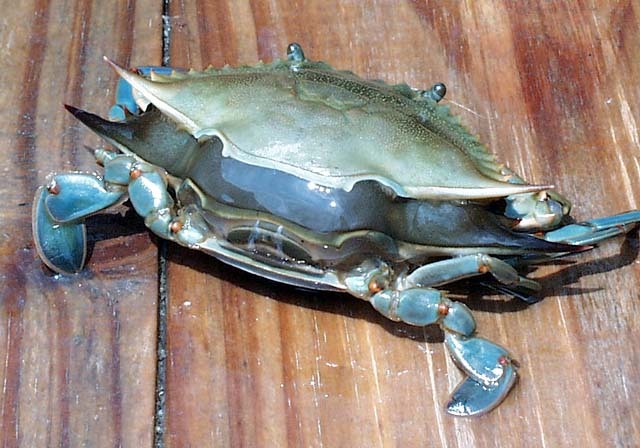 In order for a crustacean to grow, it must periodically shed its old exoskeleton. 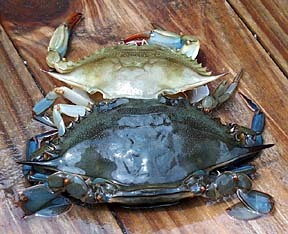 A mature crab will generally molt about once a month, growing 1/3 (or 33%) larger with each molt. 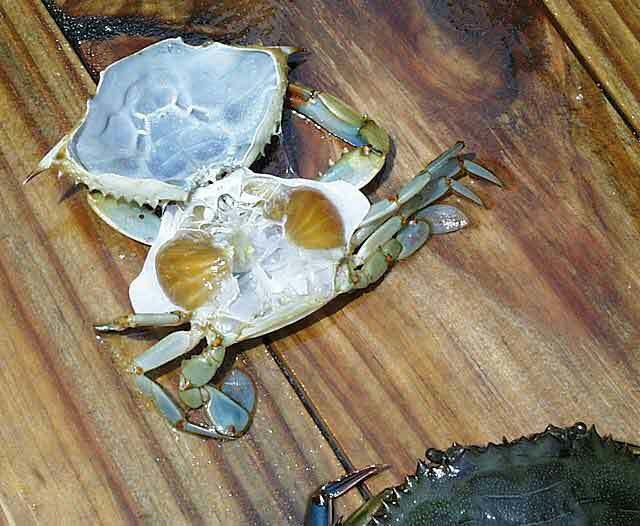 The following photo sequence shows a crab in the process of busting out of its old shell. The whole process took less than an hour. In case you're wondering how I obtained these shots (since a crab will not molt out of water), I placed a peeler in a holding tank and waited for it to begin molting. I then periodically pulled the tank out of the water and photographed the crab. 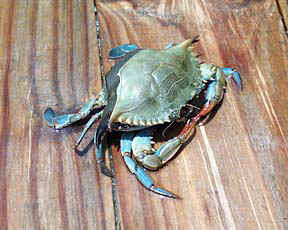 Crab has just started to molt. The new shell is about 33% larger. 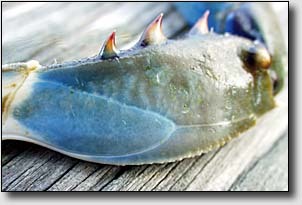 the crab has a complete set of new gills. Crab is very weak after molting. 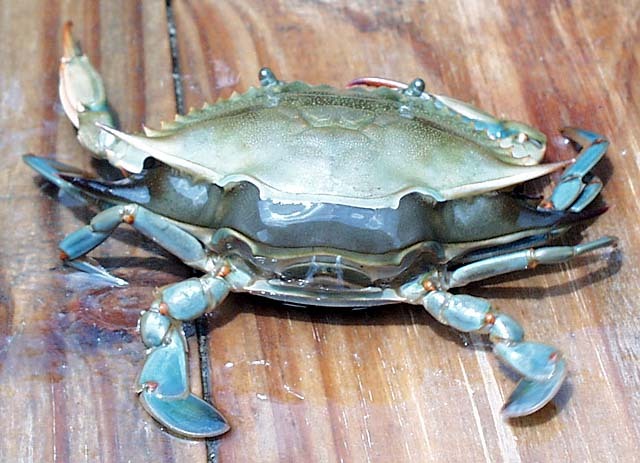 How does the crab gets its claws out? 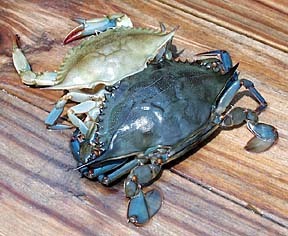 Most people don't have a problem understanding how the crab gets its main body out of the old shell. 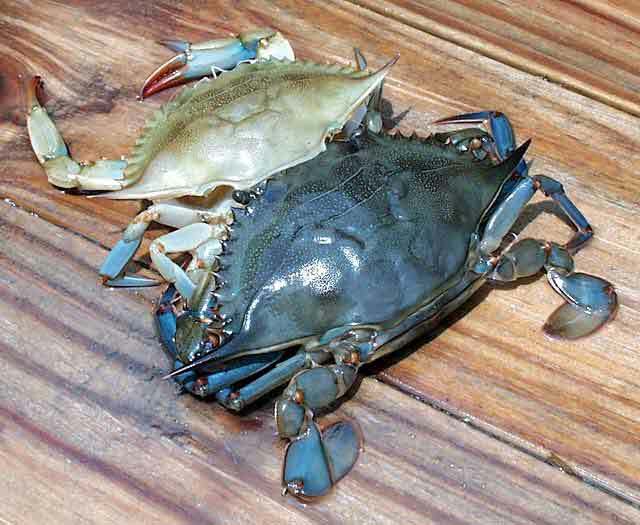 But, they have a hard time understanding how the crab gets its legs and claws out. 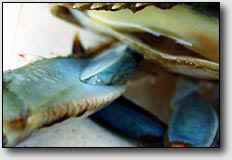 As for the walking legs and swimming fins, the diameter of the shell is about the same throughout. 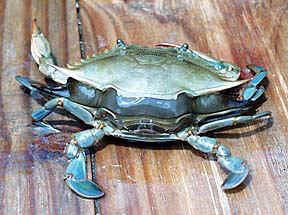 The crab simply pulls its legs out of the old shell in a long and arduous process. 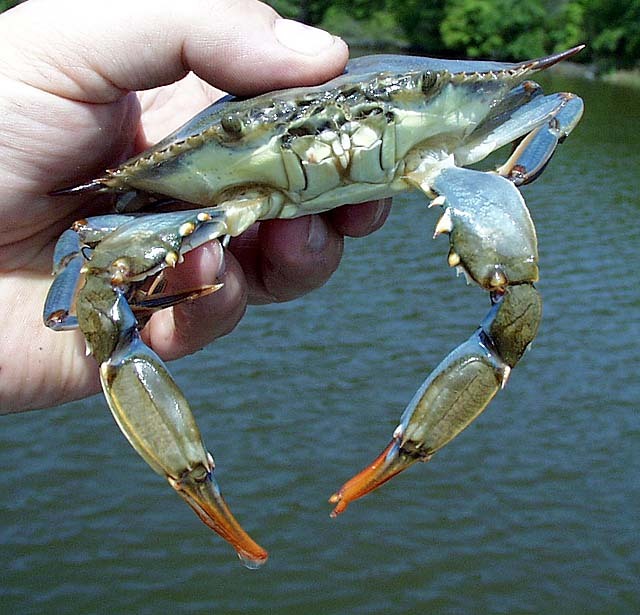 The claws, however, present a different problem (and a unique solution!) Because the claws have a narrow base where they attach to the body, it would be impossible for the crab to pull them out. 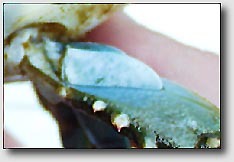 To overcome this problem, the crab has several thin grooves, or fracture planes, strategically placed on its shell which break during the molting process. This provides a larger opening in which to pull the claw through. The fracture planes work in exactly the same manner as you would cut a piece of glass. By scoring a groove in the glass, it easily breaks along the fracture. Can you see the fracture plane? Fracture plane highlighted in red. 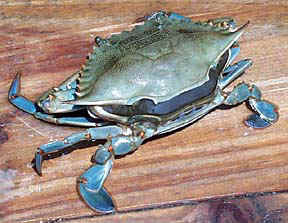 claw to be pulled out of its old shell.